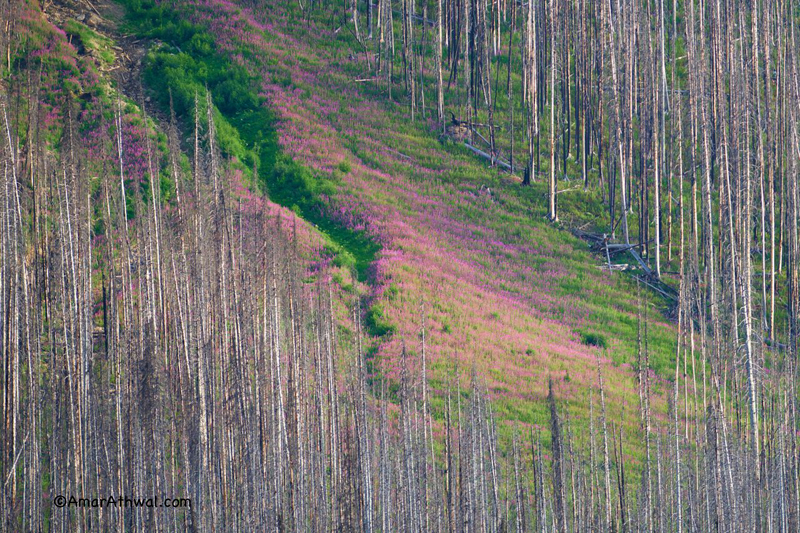 A avalanche prone area of Vermilion Peak was showing lot of colour in the form of fireweeds, surrounded by trees that were part of a 2003 wildfire. I was across the valley taking pictures of the area from far, as the sun was making its way down. Looking through the camera, composing what I though would make for an interesting picture.